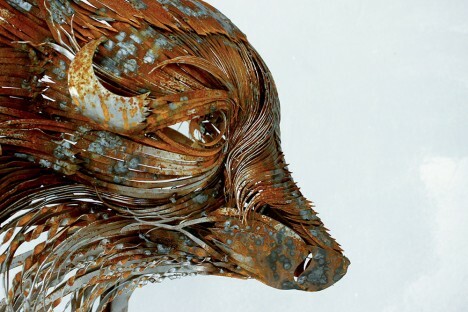 As seen through the eyes of sculptors, painters, street artists, photographers and even knitters, the animal kingdom flourishes in curlicues of steel and paper, splatters of ink and trailing thread. 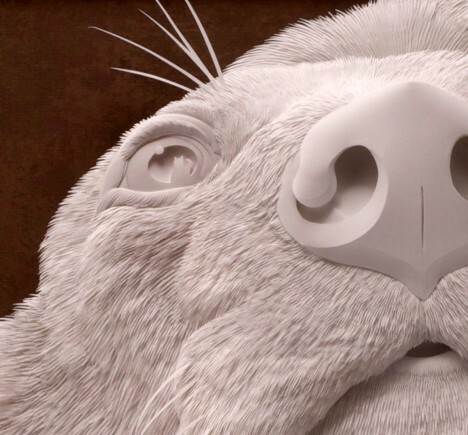 Working in styles that range from the hyperrealistic to the fantastically surreal, these artists manage to capture some of the complexity of Earth’s incredible wild creatures. 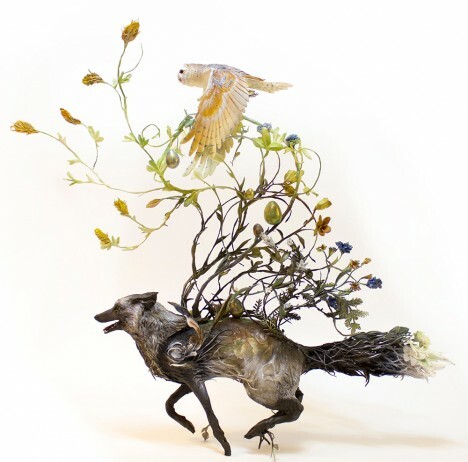 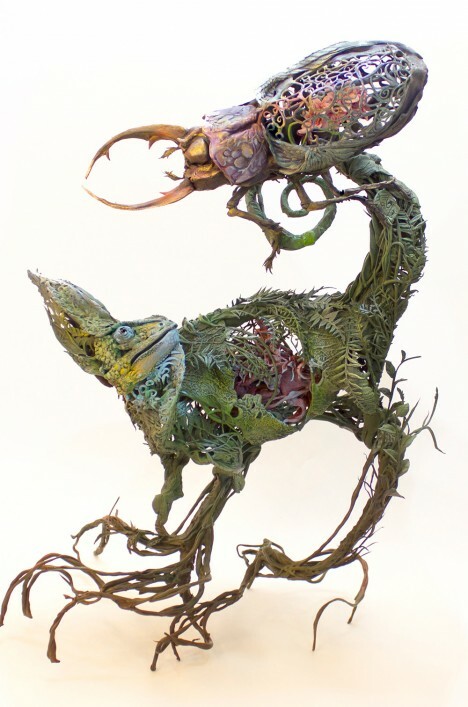 Flora and fauna come together in stunning ceramic compositions by Ellen Jewett. 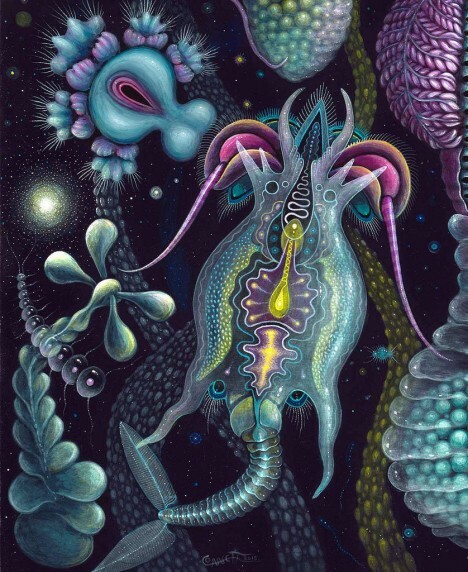 The animals themselves consist of flowers, snails, vines and other plant matter, leaving hollows within each creature’s body to make them seem weightless. 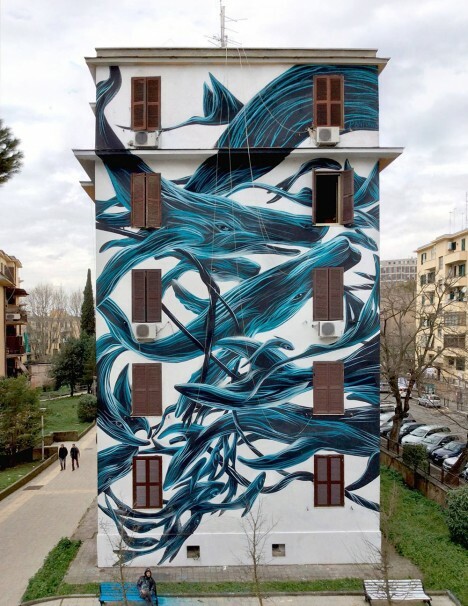 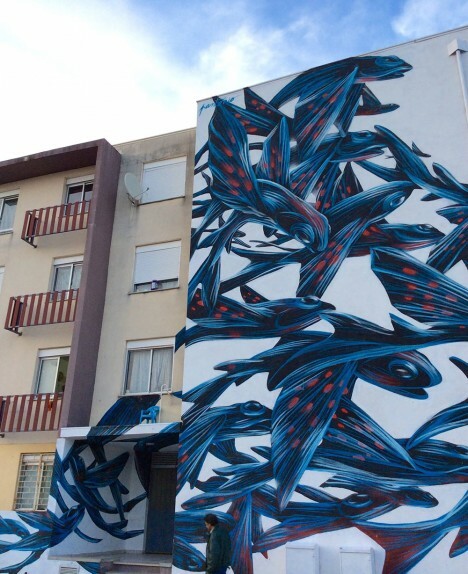 Fluid swarms of blue-toned fish, birds and other animals flow across urban surfaces on a large scale in a stunning new series by Portuguese street artist Antonio Correia, aka Pantonio. 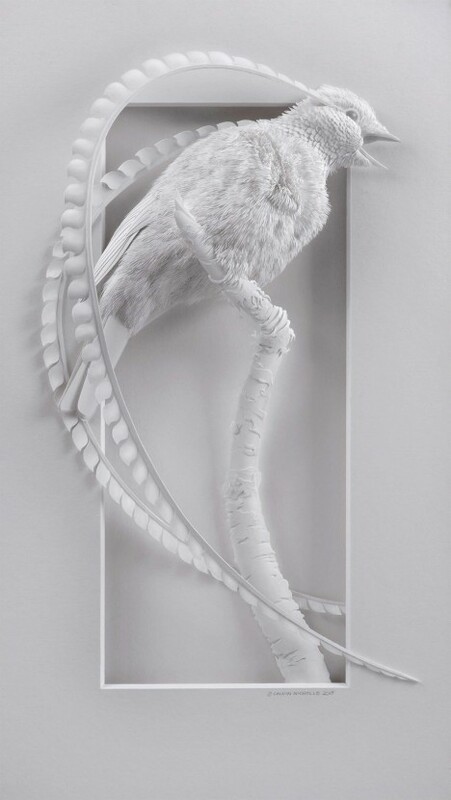 Set against stark white, the colorful creatures provide a striking contrast to the gaining historic settings in which they’re painted. 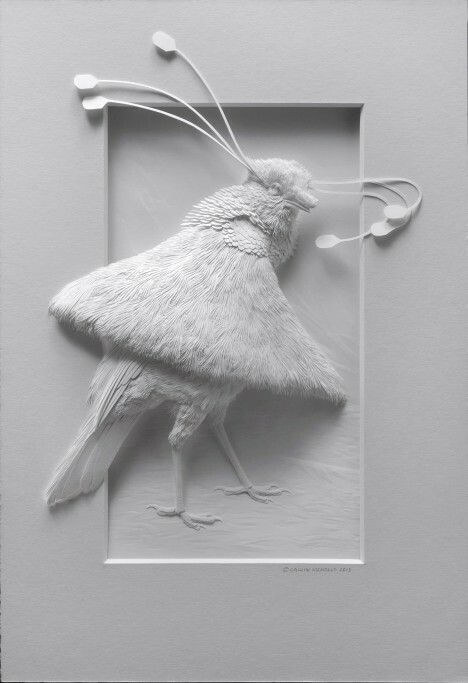 Tiny scraps of paper are cut and layered to create birds, dogs and other creatures in the relief sculptures of Calvin Nicholls. 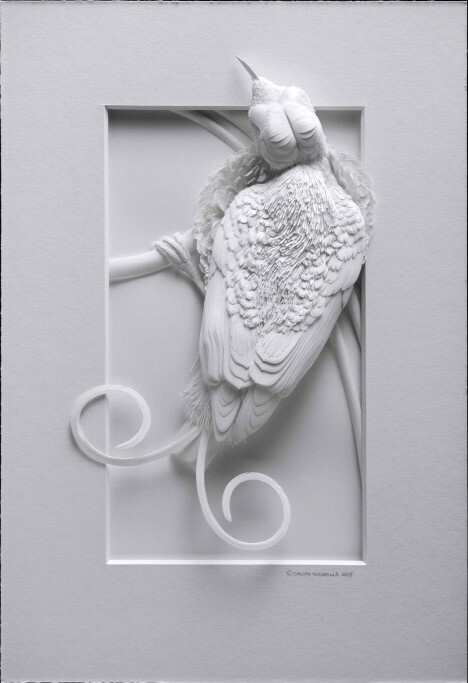 Using an X-acto knife, scalpel and scissors, the artist shapes pieces of paper that can be just fractions of a millimeter in size and builds them on to p of each other until a three-dimensional form is created. 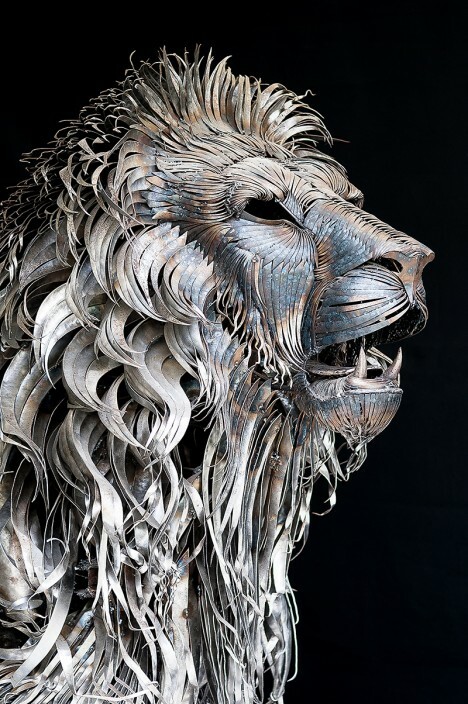 Each piece takes three weeks to an incredible two years to complete. 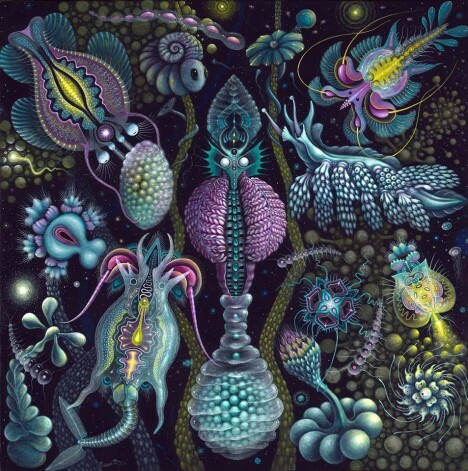 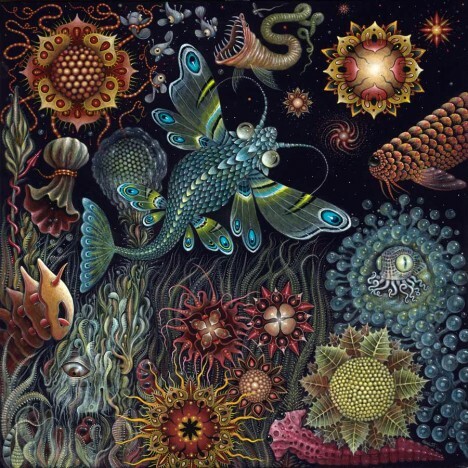 Creatures too small for us to see with the naked eye are revealed in brilliant color by illustrator Robert S. Connett – whether they’re representations of actual living microorganisms, or plucked from the artist’s imagination. 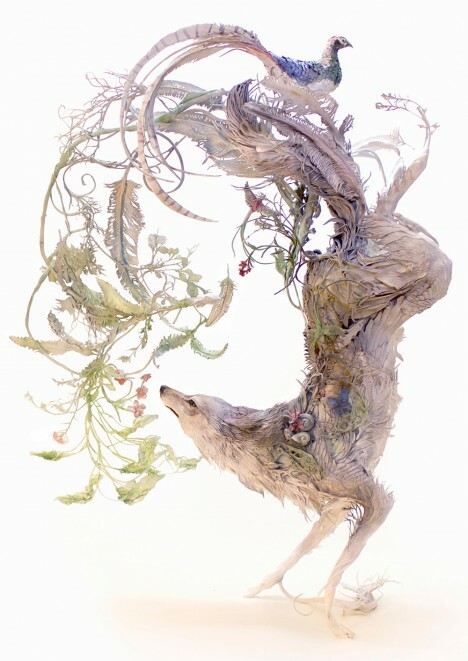 Connett refers to these scenes as “underworlds,” shining a light on fantastical pockets of flourishing life lurking in dark, wet places. 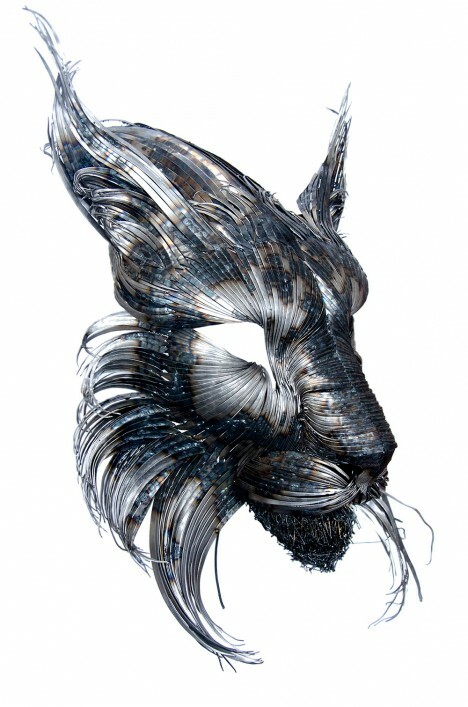 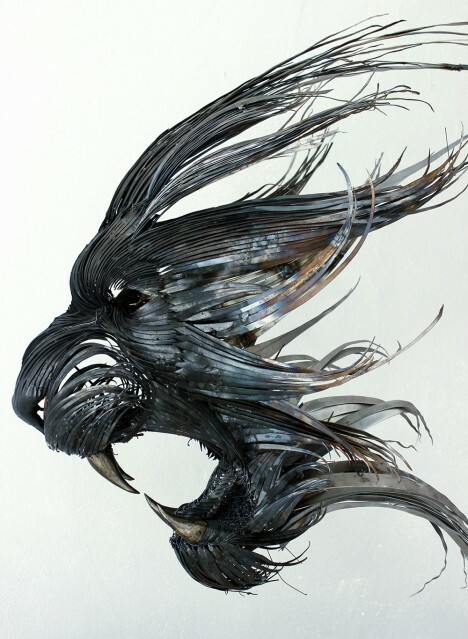 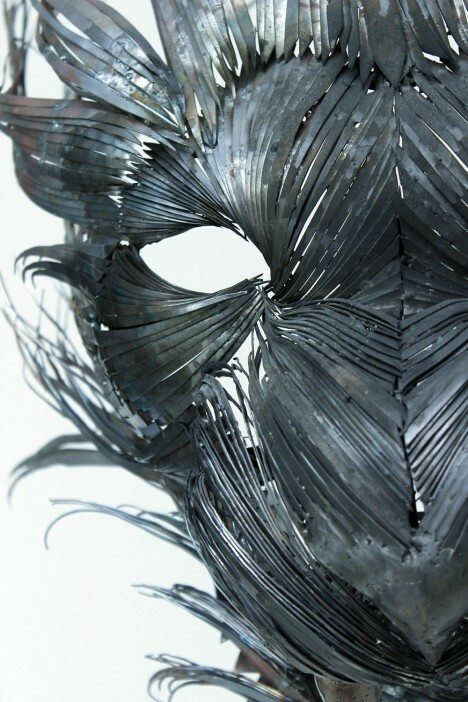 Turkish sculptor Selcuk Yilmaz forms thin strips of steel into mask-like animal heads, including a lynx, tiger and fox., as well as the full body of a majestic lion. 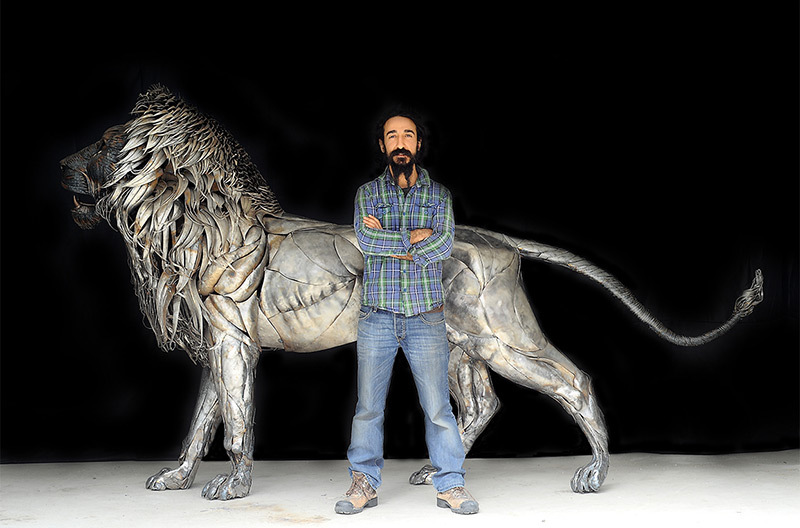 Hammering and welding the pieces into form, the artist produces incredibly powerful-looking, life-sized creatures that shimmer in the light.